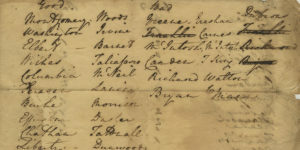 Found in the James Jackson Papers of the Georgia Historical Society, this document contains a list of Georgia legislatures who were guessed to support or deny the “Yazoo Bill.” Presumably, the list is talking about the 1796 Rescinding Act which overturned the 1795 Yazoo Act. 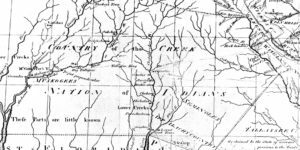 James Jackson (1757-1806) was born in Devonshire, England. 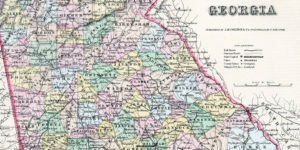 He fought for Georgia during the Revolutionary War, after which he became a member of the Georgia legislature. A member of the U.S. Senate since 1793, he left this position after the Yazoo fraud of 1795 and returned to Georgia’s state legislature and organized an anti-Yazoo campaign. List of the members [of the state legislature] who were supposed would be opposed or who would advocate the Yazoo Bill.” From the James Jackson Papers, MS 422. 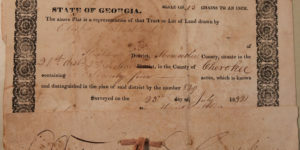 Courtesy of the Georgia Historical Society. 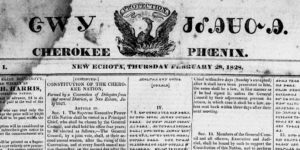 View a published transcript of the James Jackson Papers, MS 422 on the Internet Archive. 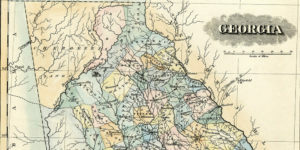 Samuel Worcester lived and worked with the Cherokee in New Echota, Georgia, as a minister with the American Board of Commissioners for Foreign Missions (ABCFM).In 1831, Worcester was sentenced to four years hard labor at the Georgia penitentiary in Milledgeville because he refused to obey a new law prohibiting white persons from living in the Cherokee Nation without special permission from the Georgia government. 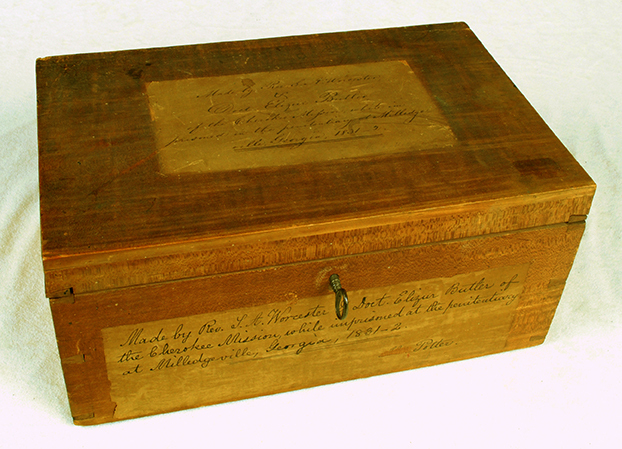 This box was made sometime during Worcester’s time at the penitentiary. 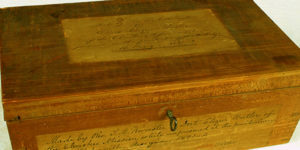 Wooden Box Made by Reverend Samuel A. Worcester and Dr. Elizur Butler of the Cherokee Mission while in prison in Milledgeville, 1831-1833. From the Georgia Historical Society Objects Collection, A-1361-250ab. View a description of this item in the GHS Digital Image catalog. 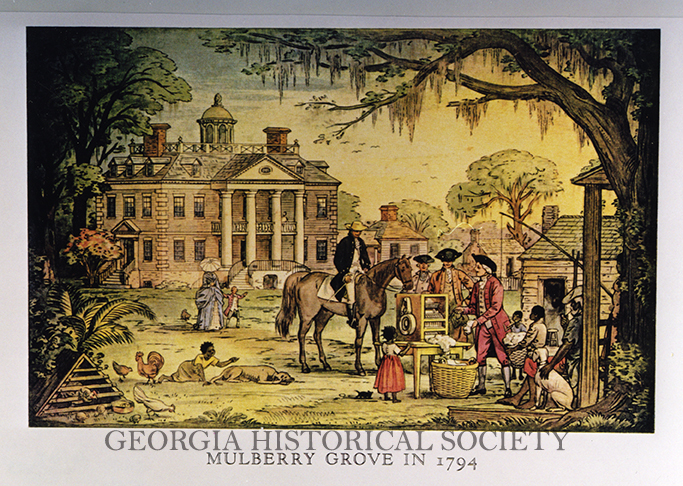 An unknown artist created this print of Mulberry Grove plantation, 1794. Although the artist and exact date of this work’s creation is unknown, it is clear that the artist wanted to depict Mulberry Grove’s connection to the cotton gin. While staying at Mulberry Grove Plantation, Eli Whitney perfected the design for his cotton gin. 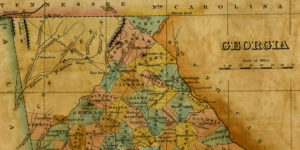 This one invention had a dramatic impact on the expansion cotton production and slavery into Georgia. 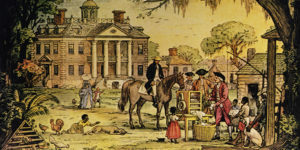 Print of Mulberry Grove, 1794. From the Georgia Historical Society Collection of Photographs, 1361PH.